You got that right! 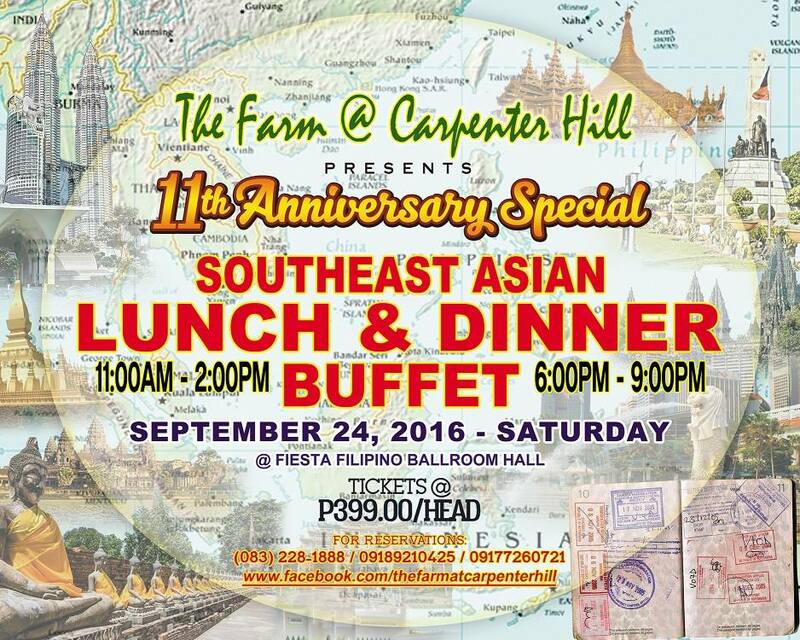 For only P399, enjoy a hearty buffet lunch or dinner at The Farm @ Carpenter Hill in Koronadal City on Saturday, September 24. It's The Farm @ Carpenter Hill's 11th Anniversary so expect only the best. 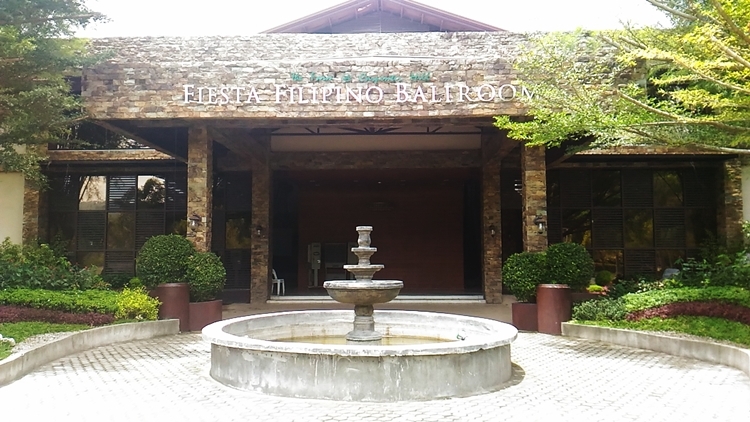 Southeast Asian Cuisines will be served during the lunch buffet which will start at 11am-until 2pm and dinner buffet from 6pm- 9pm at the Fiesta Filipino Ballroom. Tickets are priced at P399.00/head for adults and P250.00 for kids 6-8 years old. Children below 5 years old are free of charge. Also avail of their promo, get 10 tickets for adults and get 1 ticket for free. Awesome deal!